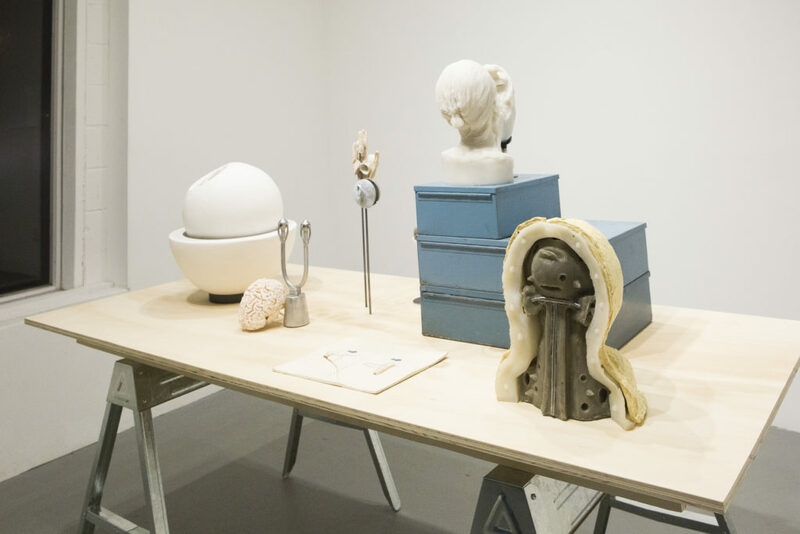 Coop presents sculptures by Kylie Lockwood, made in collaboration with Daryn R. Blanc-Goldhammer, at the University of Oregon’s Department of Cognitive Neuroscience. 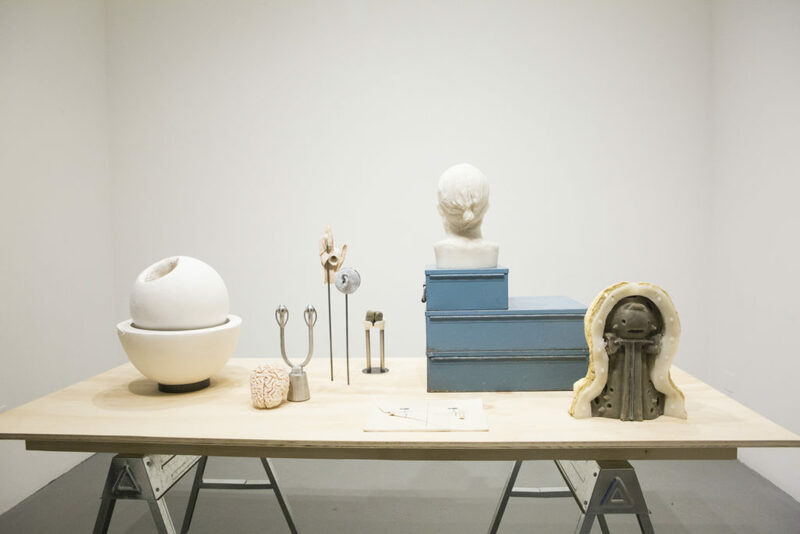 Focusing on investigations in human perception, this work consists of multiple sculptures made in response to the experiences and conversations Lockwood engaged in while artist-in-residence at the University of Oregon’s Lewis Integrative Science Building. 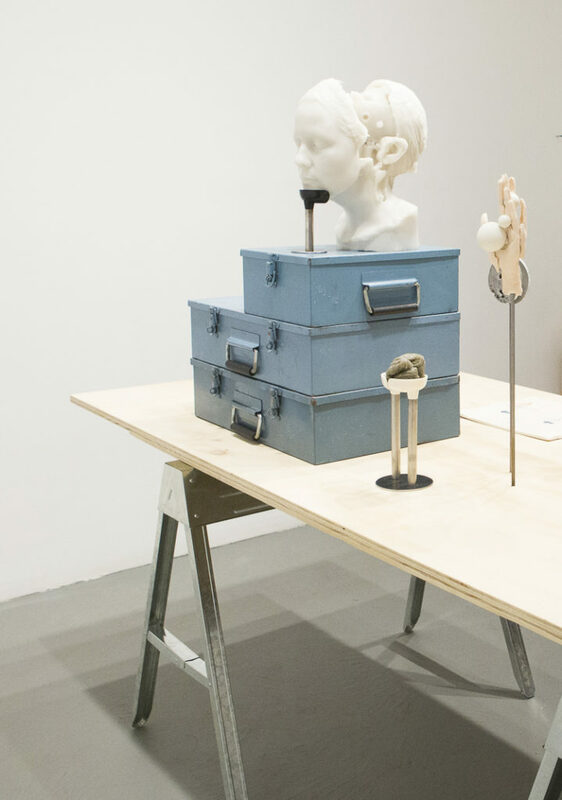 The primary component of the work is a binaural audio recorder cast from the artist’s head. 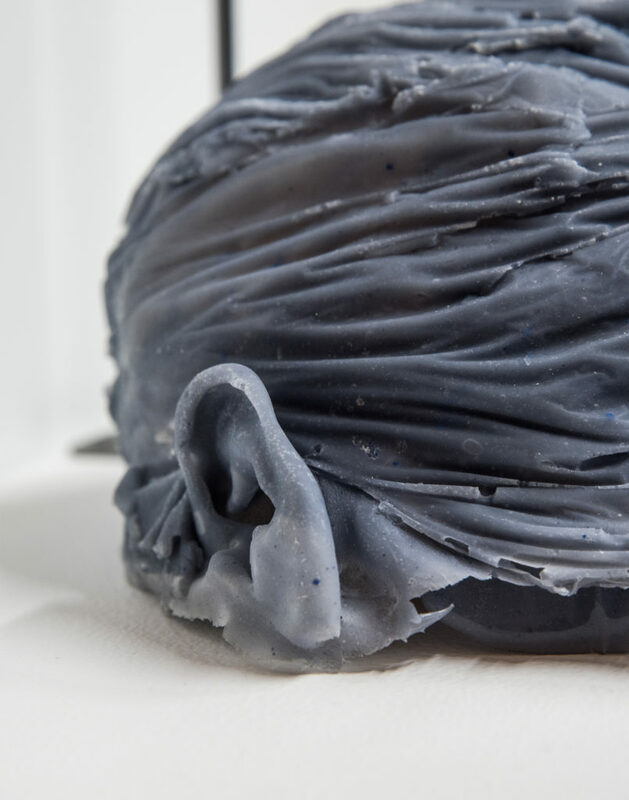 This device creates a binaural soundscape, exploring the space between a first-hand experience of place and the mediation of that experience through a surrogate self. Born in Detroit, Michigan, Kylie Lockwood received her BFA from the College for Creative Studies in Detroit in 2005, MFA from Hunter College in New York City in 2010. She attended the Skowhegan School of Painting and Sculpture in 2014 and is currently the co-director of Cave, an exhibition space at the Russell Industrial Center in Detroit, MI. Lockwood’s most recent work was exhibited at Cleopatra’s in Brooklyn, NY, Lord Ludd in Philadelphia, PA, and Condensed Matter Community at the Synchrotron Radiation Center in Stoughton, WI.